Items added to an order, items removed from an order, totals, tax and more are all shown in white text overlaid on a video security camera image. 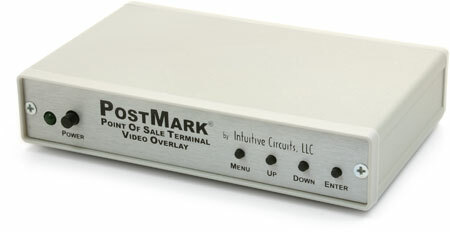 At the core of this security enhancement is the PostMark Video Overlay box. This technology works with most video surveillance systems and has been adapted specifically for use with Point of Success POS software. If the workstation also uses a pole display, a pass-through serial port provides data to drive the pole display. One interface box and one security camera are required for each order entry workstation to be monitored.